If you’ve never worked with a travel agency before, you might find yourself a little overwhelmed by the options. No matter where you live, there are likely a number of travel agencies in your area, and most will be able to plan a vacation to the destination that interests you most. So how do you choose the very best company for you? You can’t just think about price in black and white terms, though. With a smaller company, you can pay more, but at the same time, you’ll probably get a lot more individual attention. With a larger corporation, you could get less personal attention, but you’ll pay a much lower price. As with any industry, this is all about price versus quantity. Sometimes, the lowest amount is not the best option. If you plan a trip with a travel agency, you might have to sign a contract that protects the travel agency in case you don’t pay, try to back out of the vacation. Avoid being locked into a contract unless you are sure about your travel plans because you could lose a deposit or even have to pay the full price for the trip. Learn about extra benefits you get from the company. Many companies have incentives to work with them. It depends on where you’re going, the time of year in which you plan on traveling, and how much money you’re spending. You may also be able to pay for these additions to your vacation, which is not as desirable but still better than a company that does not offer them at all. Large or small, most companies have been reviewed online. When you read an online review, remember to take what they have to say with a grain of salt. People tend to leave longer and more detailed reviews when they are upset about something. Also, take into consideration that companies can pay or offer incentives to people if those people agree to write good reviews, so not everything you read may be 100% accurate. This is just a place to get a general idea of the type of service you can get. Talk to your friends and family members. A better way to get opinions about a company is to talk to your friends and family members. Often, people will have used travel agencies in the past and be able to describe to you their experiences. Ask specific questions about the agencies they used and whether or not they would use them again. If you end up working with their company, don’t forget to mention this to your travel agent. Some companies offer incentives on the next trip to the person who recommended them. 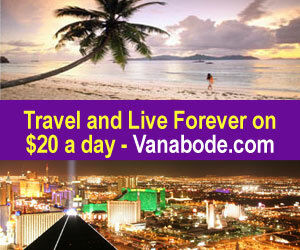 Vacations vary in price depending on destinations and length of stay. Whether you are planning your trip at the last minute or well in advance, not every travel agency in your area will be able to accommodate you. Before you get your heart set on a specific company, talk to them about when you would like to travel to see if they have time to plan your trip. When you are looking at travel agencies, remember that “a la carte” will be more expensive than packages. 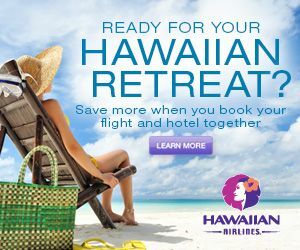 In other words, although your agent is probably able to book the specific flight, hotel, and entertainment you want, you can probably save money if you choose one of their package deals. Once you have narrowed it down to just a few companies, look at the packages they offer to see if any of them work well for you.